On Monday more than 30,000 teachers at 900 schools in Los Angeles, California, will be on strike. And unlike the wave of teachers strikes last year in red states like West Virginia, this time educators are taking to the streets due to the policies of Democrats. At issue are things like lowering class sizes and providing more nurses, librarians and counselors. But behind these issues lies one of the most important facts about our country. When you get right down to it, there is very little difference between many Democratic policymakers and their Republican counterparts. You think Betsy Devos is the opposite of Arne Duncan? Wrong. You think Barack Obama is the opposite of Donald Trump? Wrong again. Though there are differences, those often amount to differences of degree. Corporate Democrats like almost all Republicans support the same education policies – school privatization and high stakes testing – that are robbing the LA Unified School District of the funding it needs to meet the needs of its students. THAT’S why class sizes have ballooned to more than 45 students in secondary schools; 35 students in upper elementary grades; and 25 students in lower elementary grades. THAT’S why the district does not have nearly enough counselors, psychologists or librarians to give students the support they need. THAT’S why 80% of schools don’t have full-time nurses. The second largest district in the country has more charter schools than any other. The overwhelming majority of them are operated by corporate chains and have expanded by 287% over the last 10 years. These are publicly funded but privately run schools. They don’t have to meet the same standards of accountability or transparency about how they spend taxpayer dollars – all while gobbling up $600 million a year! That is money that parents and community members are forced to pay but about which they have very little say. It’s money that can – and often does – go right into the pockets of charter school operators without providing its full value to the students it was meant help educate. It’s money set aside for all children but given to educate merely a handful of students chosen by those same businesspeople who run these charters because they think these children will be cheaper and easier to educate. That’s not Democracy. No self-respecting Democrat should support such a thing – but you’ll find luminaries from Obama to the Clintons to Cory Booker who will tell you what a great idea it is. Along with DeVos, Trump, Jeb Bush and the Koch Brothers. LA Superintendent Austin Beutner is a Democrat, but he’s also a multimillionaire with experience in corporate downsizing and none in education. These are policies in direct opposition to the progressive ideals at the heart of the Democratic Party. They are, in fact, bedrock Republican ideology and demonstrate the vast divide among Democrats. New Democrats oppose them. Grassroots Democrats oppose them. Democratic voters oppose them. And it will be telling whether the policymakers in our halls of power will follow the lead of the people or try to shepherd the power behind the party into doing what the patricians think best. That’s why this strike is important way beyond California. Whatever happens will send echoes throughout the country, because school districts from sea to shining sea are facing similar issues. In the meantime, the LA Unified District has a $1.8 Billion budget surplus it can use to help meet these needs. But the solutions to the district’s woes require a long-term commitment to public education. Certainly the state of California needs to increase its per pupil spending. It’s the richest state in the country, yet ranks 43rd out of 50 in this regard. This would help the district raise teacher salaries to match those of surrounding districts. But the root problem is a lack of ideological support among policymakers. Too many Democrats inside and outside the district don’t support the very idea of public schools. They’d rather boost privatization. Too many Democrats support unnecessary and harmful high stakes standardized testing which not only unfairly paints the district as a failure for the poverty of its students but forces out things of real education value like the arts and ethnic studies. Too many Democrats have no problem doing this in a district that serves a majority of students of color while providing only the best for middle class white kids. That’s why today the American people stand with the UTLA as they go on strike. It’s why we always stand with educators – You can’t put students first if you put teachers last. Democrats need to get their priorities straight. It’s time to decide if they’re going to continue being Trump lite or reclaim their progressive heritage and rejoin the rest of the nation. Teaching is an exhausting job. If you’re a parent, you know how tiring it is with just one or two kids. Imagine having a room full of them — Twenty to thirty children, each demanding your attention, each requiring your urgent help – every minute, every day, for hours at a time. Back in the late 1980s, before education became totally absorbed by standardized testing and school privatization, we used to wonder about the effects of such need on a single individual. We used to wonder how much was really being asked of our teachers. Today no one outside of the classroom really gives it much thought. We think of educators as part of a vast machine that is required to give us and our children a service. We’re stakeholders. They’re service providers. And the students are a national resource. None of us are people. Perhaps it’s this dehumanizing economic framework that’s helped the edtech industry and testing corporations make so much headway trying to replace educators with apps and iPads. We no longer give the teacher an apple. We displace her with a Mac. But back in the days before George W. Bush’s No Child Left Behind or Barrack Obama’s copycat Race to the Top, or Donald Trump’s blatant Destroy Public Education, we wondered about teacher psychology and how to best help our human workforce meet the needs of our human children. That’s when researchers observed elementary school teachers and noted that, on average, they made at least 1,500 decisions a day. That comes out to about 4 decisions a minute given six hours of class time. In the decades since, this figure has come to be associated with elementary and secondary teachers. In fact, it’s become so ubiquitous that I wondered where it originated. The first reference I can find to it comes from C.M. Clark & P.L. Peterson’s article “Teachers’ Thought Processes” published in the Handbook of Research on Teaching from 1986. (3rd ed., pp. 255–296). New York: macmillan. Though subsequent studies came up with slightly different numbers, the basic argument holds. Researchers Hilda Borko, Carol Livingston and Richard Shavelson mark the low end of the scale. In their 1990 article “Teachers’ Thinking About Instruction,” they summarize studies that reported .7 decisions per minute during interactive teaching or 42 judgements per hour, 252 a day. On the upper end of the scale is Philip Jackson who wrote in his 1990 book “Life in Classrooms” that elementary teachers have 200 to 300 of these determination generating exchanges with students every hour (between 1,200-1,800 a day). Most of these are unplanned and unpredictable calling for teachers to make what they term shallower decisions or deeper judgments (p. 149). So because teaching involves waiting for the right opportunities for learning, neither student nor teacher can say with confidence what exactly will happen next. It requires “spontaneity and immediacy” (Jackson, p. 166, 152). As a classroom teacher with more than 15 years of experience, none of this is surprising to me. Just imagine the various tasks teachers are required to do every hour. We take attendance, review homework, help with seat-work, ask questions, etc. And that doesn’t even take into account all the times we’re unpredictably interrupted by the unexpected – upset students, administrative announcements over the PA, student questions, equipment breakdowns, etc. Each one of these requires us to make spontaneous, unplanned calls before the lesson can continue. It just goes to show some of the various roles teachers are expected to fill in the lives of their students. They are expected to be information providers, disciplinarians, assess student learning, administrate school policies, facilitate student inquiry, act as role models and even be foster parents. In any given lesson, we have to make decisions based on our plans AND decisions based on things that just happen to crop up unexpectedly – multiple times each day. In fact, it seems to me that the research fails to account for innumerable situations that also require determination and deliberation as part of an educator’s everyday routine. What about curriculum and instruction design? Grading? Written and verbal feedback to students? Reflection and revision of lesson plans? When you think of all that, 1,500 decisions a day seems like a conservative estimate indeed. Perhaps the most troubling thing about this is where it impacts teacher quality. And when I say that, I don’t mean the basterdized modern meaning of that term – that teachers are responsible for maximizing student test scores on standardized assessments. I mean the quality of authentic instruction teachers are able to give their classes. When we expect educators to turn on a dime more than a thousand times a day, doesn’t that impact the depth with which we can accomplish the job? Busyteacher.org certainly thinks so. I’m not sure where the Website got its statistics, but they are sobering. In a fascinating infographic, the site claims that multitasking leads to a 40% drop in productivity. It causes a 10% drop in IQ. It causes people to make 50% more mistakes than concentrating on one task at a time. I don’t know if these statistics are accurate, but the general principle is sound. When we’re forced to “do more with less” we actually end up producing more with less quality. Focusing on fewer things increases ones accuracy. Therefore, teachers who have to make fewer decisions in a day would probably be able to do their jobs more effectively. And there are plenty of ways to accomplish this. We could reduce class size. If educators can concentrate on the needs of fewer children, they would be more effectively able to meet those needs. We could reduce the amount of time teachers have to be in the classroom in a given day. I’ve often thought teaching was analogous to being an actor up on the stage – but we’re also responsible for writing the script, operating the lighting, etc. And we have to interact with the audience many of whom would rather be elsewhere, and we have to do multiple shows each day. In some countries, teachers spend a significant part of their days planning and grading and less in the classroom. They don’t have to do all that behind the scenes stuff on their own time without any additional pay. In Finland, for example, teachers are paid 13% more than the Organization for Economic Cooperation and Development (OECD) average but spend 100 hours less in the classroom. And class size is between 9-14 students, the lowest in OECD countries. No wonder their children are near the top of the scale in international comparisons! Wouldn’t it be amazing if we lived in a society that valued education and didn’t try to turn everything into economic quantities for corporations? We could actually focus on the real phenomena of educating children and not have to fight warped education policies more concerned with turning it all into dollars and cents. Perhaps teachers wouldn’t have to make so many thousands of decisions if our lawmakers could just make this one. What Happened to 2018 As The Year of the Teacher? This year teachers took their mission way beyond the classroom. Starting in West Virginia, we staged half-a-dozen walkouts in red states across the country demanding a better investment in children’s educations and often getting it. Then we took that momentum and stormed our state capitals and Washington, DC, with thousands of grassroots campaigns that translated into seats in government. And then, just as suddenly, the story stopped. No more headlines. No more editorials. No more exposes. In it, she writes that the teacher insurgence was overblown by unions and marks little more than a moment in time and not an authentic movement. It really comes down to a numbers game. Numerous sources cite high numbers of teachers running for office. Wong disputes them. 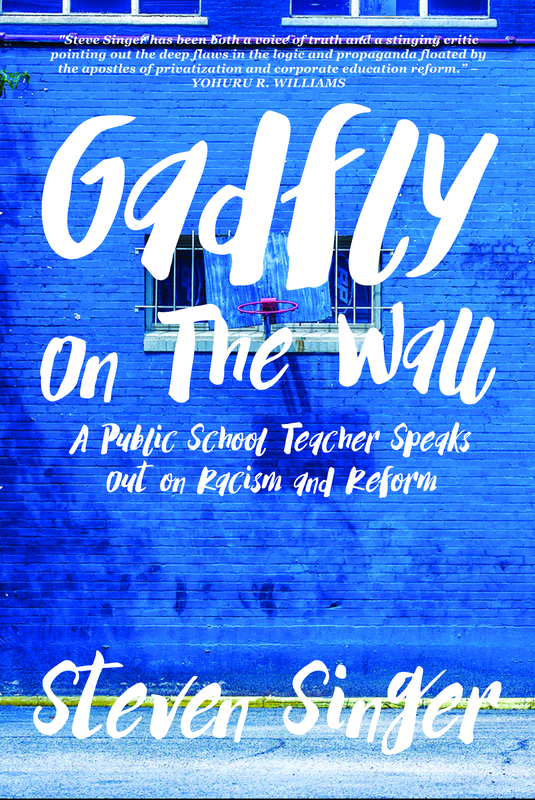 National Education Association (NEA) senior political director Carrie Pugh says about 1,800 educators – both Republicans and Democrats – sought seats in state legislatures this year. Likewise, the Democratic Legislative Campaign Committee (DLCC), a group that works to elect Democrats to state legislatures, puts the number at 1,456 educators. Wong disputes these figures because she says most of these people aren’t currently K-12 classroom teachers. Maddy Will and others at Education Week agree with Wong’s assessment. According to their analysis, out of the thousands of education-related candidates, they could only prove that 177 were K-12 classroom teachers. A story about teachers taking over their own destinies is dead in the water. However, this begs two important questions: (1) Is not being able to corroborate the facts the same as disproving them? And (2) Is being a K-12 classroom teacher a fair metric by which to judge education candidates? First, there’s the issue of corroboration. Wong, herself, notes that part of the disparity, “…may come down to the inconsistent ways in which candidate lists are compiled from state to state and organization to organization.” It’s unclear why that, by itself, throws doubt on the NEA’s and DLCC’s numbers. These are verifiable facts. Journalists could – in theory – track down their truth or falsity if their parent companies ponied up the dough for enough staff to do the hard work of researching them. The fact that this hasn’t happened is not proof of anything except low journalistic standards. Second, there’s the question of whether Wong and Will are holding teachers up to a fair standard. Since the Great Recession, more than 116,000 educators have been out of work. If roughly 1-2% of them decide to run for office, doesn’t that represent a rising tide of teachers striking back at the very representatives responsible for neglecting schools and students? Aren’t they seeking to right the wrongs that put them out of work in the first place? Even if we look at just the people currently employed in an education field, why are college professors defined out of existence? Why are guidance counselors and principals not worthy of notice? Certainly K-12 classroom teachers are at the heart of the day-to-day workings of the education system. But these others are by no means unrelated. Carol Burris was an award-winning principal at South Side High School in the Rockville Centre School District of New York before becoming Executive Director of the Network for Public Education (NPE). Diane Ravitch, who co-founded NPE, is an education historian and research professor at New York University. If Wong and Will are to be believed, the work of Burris and Ravitch on behalf of public education should be discounted because they are not currently working in the classroom. That’s just ridiculous. This isn’t about logic or facts. It’s about controlling the narrative. The Atlantic and Education Week are artificially massaging the numbers to support the narrative their owners prefer. And let’s not forget, both publications are in bed with the forces of standardization and privatization that educators of every stripe have been taking arms against this year and beyond. Though The Atlantic is a 162-year-old pillar of the journalistic establishment, it was purchased on July 28, 2017, by the Emerson Collective. This is Laurne Powell Jobs’ philanthrocapitalist cover organization which she’s been using in a media blitz to reinvent high schools by way of corporate education reform. Likewise, Education Week has always had a corporatist slant on its editorial page and sometimes even in the way it reports news. Nowhere is this more blatant than the publication’s annual Quality Counts issue which promotes the standards-and-testing industrial school complex of No Child Left Behind, Race to the Top, Common Core, etc. It’s no wonder that these organizations would want to stop the narrative of insurgent teachers taking a stand against the very things these publications and their owners hold dear. They want to cast doubt on the record-breaking activism of parents, students, citizens and, yes, teachers. But the facts tell a very different story. From West Virginia, Oklahoma, and Kentucky to Colorado and Arizona, educators took to the streets last spring to rally for adequate, equitable and sustainable K–12 funding. All over the country, we’re demanding properly equipped classrooms, better wages, and stronger public schools. In Connecticut we sent the first black woman to the legislature from the state, Jahana Hayes, a school administrator and Teacher of the Year. We took down Wisconsin’s anti-education Governor Scott Walker. Not only that, but we replaced him with the state superintendent of public instruction, Tony Evers, on a platform centered on schools and learning. And he wasn’t the only educator with a gubernatorial win. Tim Walz, a former high school teacher, became governor of Minnesota. In Oklahoma, former teachers Carri Hicks, Jacob Rosencrants, and John Waldron all won seats in the state legislature, who along with others riding the pro-school tide increased the state’s “education caucus” – a group of bipartisan lawmakers committed to improving schools – from nine members to 25. Even where candidates weren’t explicitly educators, mobilizing around the issue of education brought electoral victories. Democratic candidates were able to break the Republican supermajority in North Carolina because of their schools advocacy. Even in Michigan – home of our anti-education Education Secretary Betsy DeVos – Gretchen Whitmer was elected governor after campaigning against public-school funding cuts. In Illinois, anti-education governor Bruce Rauner got the boot, while Democrat J.B. Pritzker unseated him on a schools platform. And in Kansas, not only did school districts successfully sue the state for more funding, Laura Kelly defeated conservative incumbent governor Kris Kobach on a platform of further expanding school funding. These victories didn’t just happen. They were the result of grassroots people power. The NEA says even beyond educators seeking office, members and their families showed a 165% increase in activism and volunteering during the midterm election over 2016. This is especially significant because participation tends to flag, not increase, around midterms. So let’s return to the disputed numbers of teachers who sought election this campaign season. Of the 1,800 educators the NEA identified, 1,080 of them were elected to their state legislatures. When it comes to the smaller American Federation of Teachers (AFT), 109 of 178 educators won. If we go by Education Week’s numbers, just 43 of 177 won. Clearly, this is not the whole picture. The education insurgency was more than even getting candidates elected. It was also about changes in policy. In Massachusetts, we successfully repealed the Ban on Bilingual Education so educators will be able to teach English Language Learners in a mix of the students’ native language and English as a bridge to greater English proficiency. In North Carolina, we successfully lobbied state lawmakers to stop for-profit charter schools from taking over four of five public schools. And everywhere you look the stranglehold of high stakes standardized testing is losing its grip. Because of our advocacy, the amount of time spent on these deeply biased assessments has been cut in states like Maryland, New Mexico, West Virginia, Hawaii, and Pennsylvania. The highly suspect practice of evaluating teachers on student test scores has been dropped in Connecticut and the weight it is given has been reduced in New Mexico. Now with new policies in Idaho and North Dakota, 10 states have explicit laws on the books allowing parents to opt their children out of some or all of these exams. Half of New Hampshire’s school districts have replaced standardized tests in most grades with local, teacher-made performance assessments. I don’t care what corporate journalists are being forced to report by their billionaire owners. These accomplishments should not be minimized. Teachers are at the heart of communities fighting the good fight everywhere. And in most places we’re winning! We’re teaching our lawmakers what it means to support public education – and if they refuse to learn that lesson, we’re replacing them. If that’s not “Year of the Teacher,” I don’t know what is.